Alcove fixture consists of two fixed walls, into which hinged doors have been attached. 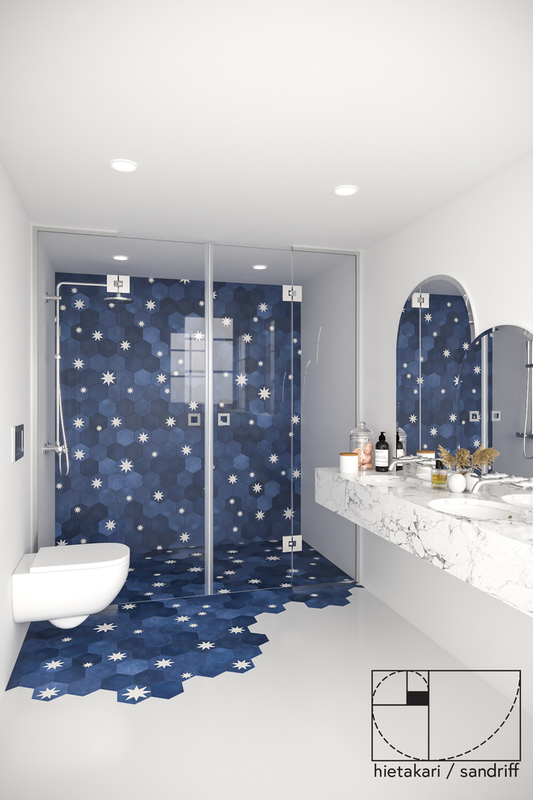 The product is well-suited for a shower enclosure is well-suited for a shower enclosure outside of which there are fixtures on both sides. The fixed parts can be dimensioned according to the depth of the fixtures so that when opened, the doors do not hit the fixtures. 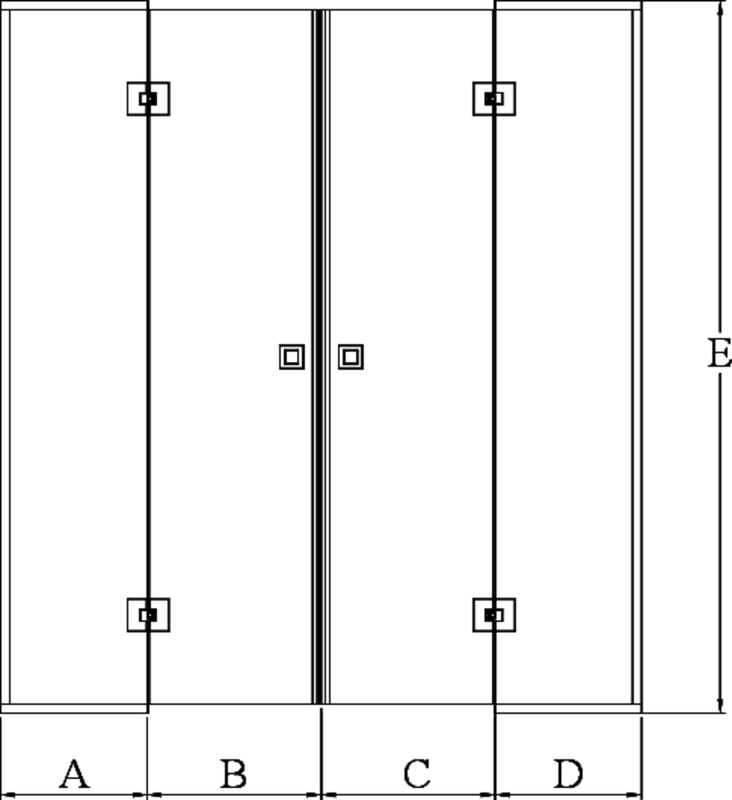 Doors can be dimensioned symmetrically or so that the doors are of different sizes. When the shower is not in use, the door can be turned in the direction of the building walls. The selected product can be installed into the opening the total width L1 of which is 2600mm and the total length L2 2000mm.